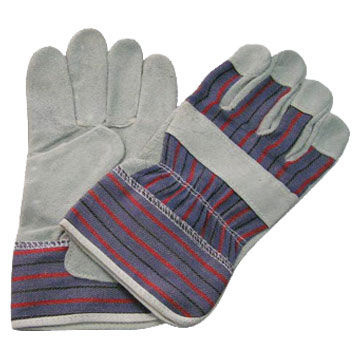 made of cow split leather , full leather ,full leather index finger. 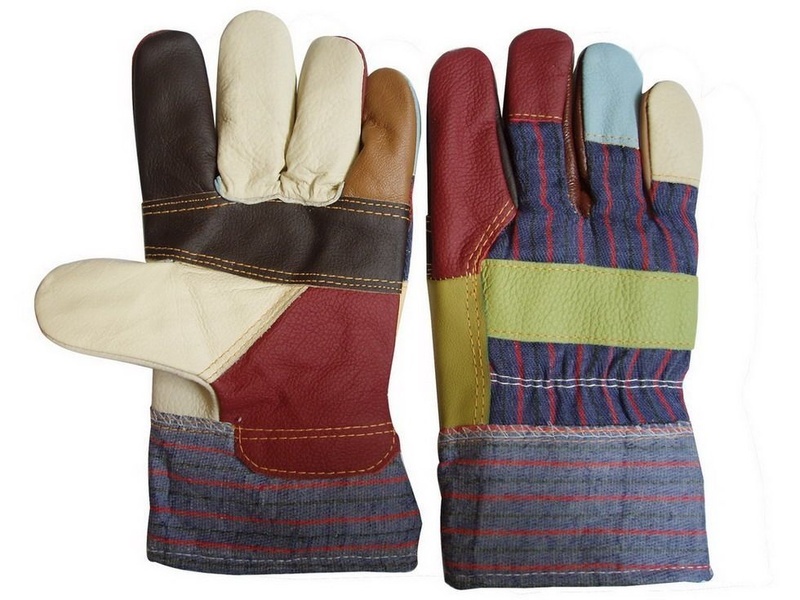 made of cow split leather, reinforced palm, strip fabric back, rubberized cuff, half lining. 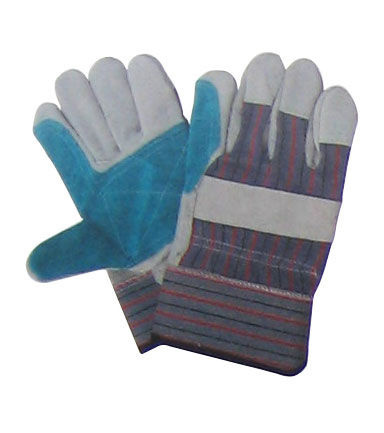 Mixed colours cowhide furniture leather palm Assorted colours striped drill back & cuff, For protection from rough objects,sparks,heat and for cushioning from blows in heavy duty work requirements.